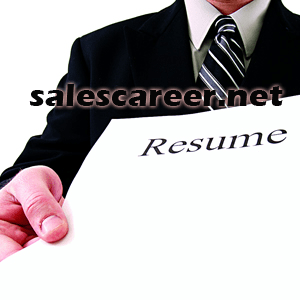 Does Blasting Your Sales Resume Really Work? When I was a job seeker and was desperate to get as many sales interviews as possible, I tried a few resume blasting services that offered the service of sending out my resume to over hundreds of hiring sales managers and recruiters. As the weeks and months rolled by, I didn’t get any calls in from any hiring managers or recruiters, but didn’t think much of it. Later as I became a hiring sales manager myself and needing to keep up with my own pipeline of talent, I signed up to receive the blasts of candidate resumes. As a hiring sales manager, I really didn’t have time to really sift through all the candidates that came in and when I really thought about it, the candidates did not strategically pursue any open positions, so I run the risk of picking up some real bad candidates. I picked a weekend to go through some of the resumes and even though a few candidates looked promising, my interest level was not really there since I knew that these folks simply blasted out a wide net in hopes that they catch something. Kind of desperate and not strategic in any sense other getting their resume sent into over filling email boxes. Since I was a user before in the past when I was a job seeker myself, I now understand why I never really received any calls for an interview. My opinion is this, these blasting service has a low rate of success. I would recommend focusing on quality and not quantity and truly go for a sales job you really want and a company you want to work for, rather than blasting it out there and hoping that someone else is as desperate as you. Cast your vote on your experience with resume blasting and review the results of others. Thanks for your input!